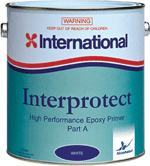 ​A high performance two pack epoxy polyamide primer/undercoat. 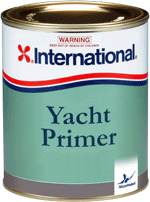 Suitable as a primer for Polyester, Vinylester, Epoxy, Steel, Aluminium, Ferro cement and Timber hulls, above and below the waterline. 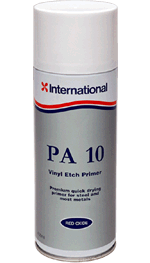 A single pack anticorrosive vinyl etch primer. 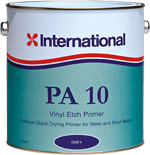 Suitable for use as an anticorrosive primer for application to Steel and Aluminium surfaces above the waterline. 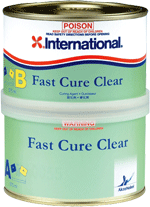 Also for use as a concrete floor finish and as a primer for non ferrous metals. 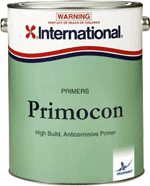 ​is a high build, multipurpose, low VOC epoxy primer, specifically formulated for use in the interiors of all types of construction. Reduced surface preparation requirements, fast walk on time and low odour speed the application process and lowers the impact on other trades. 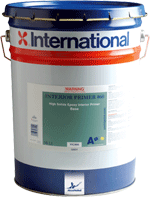 Interior Primer 860 : provides excellent anticorrosive protection and holds a Surface Spread of Flame Certificate.